Code formatting has also apparently changed fonts, but I can't see any difference. Is there anyplace that has mentioned this update either as a planned update or as an ex post facto announcement? 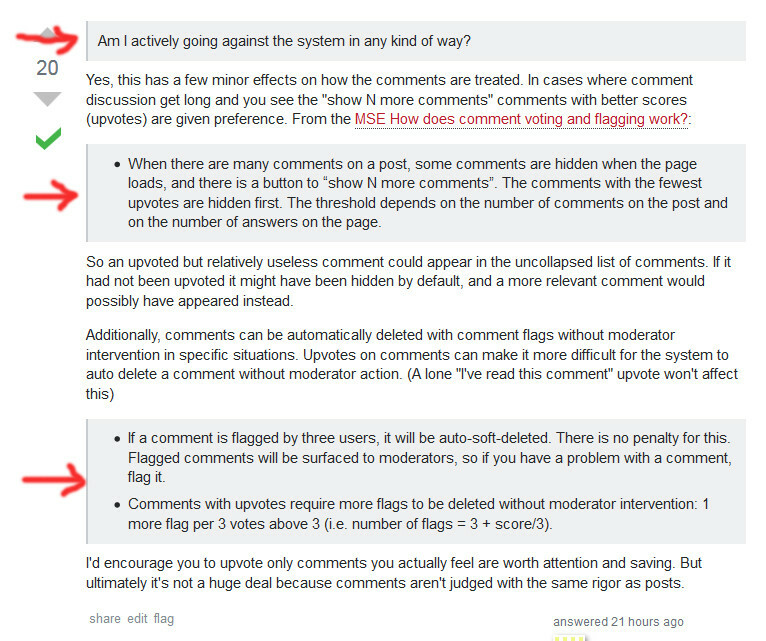 It'd be great to have an official post to talk about this/give feedback, especially since not everyone was in favor of the initial changes (the lack of contrast in quotes, the distracting vibrancy of the green, the lack of compliance with 1.4.1 of WCAG - Use of Color, et cetera). We've removed the faint background-color behind answered questions, going instead with a one-pixel border treatment. This reserves background colors only for accepted answers. Throughout the Stack Exchange network, the only thing that changes for answered questions is the status color changes from black to green. While Stack Overflow is a part of the Stack Exchange network, it also is unique and can be treated differently. We feel this solution allows a person to understand quickly what hasn't been answered, what has been answered, and what has an accepted answer. This also reduces the colors in the question list and makes it less overwhelming. As an aside, we are continuing to look at the favorite question highlighting. We understand that many have complained about the yellow background and some have offered some interesting solutions on Meta Stack Exchange. We hope to have an update for this in the near-future. For a while the product team has known that we needed to consolidate our UI to make sure we were providing a more consistent UI and UX experience. Yet it was always more of a "nice-to-have" than a must-have. 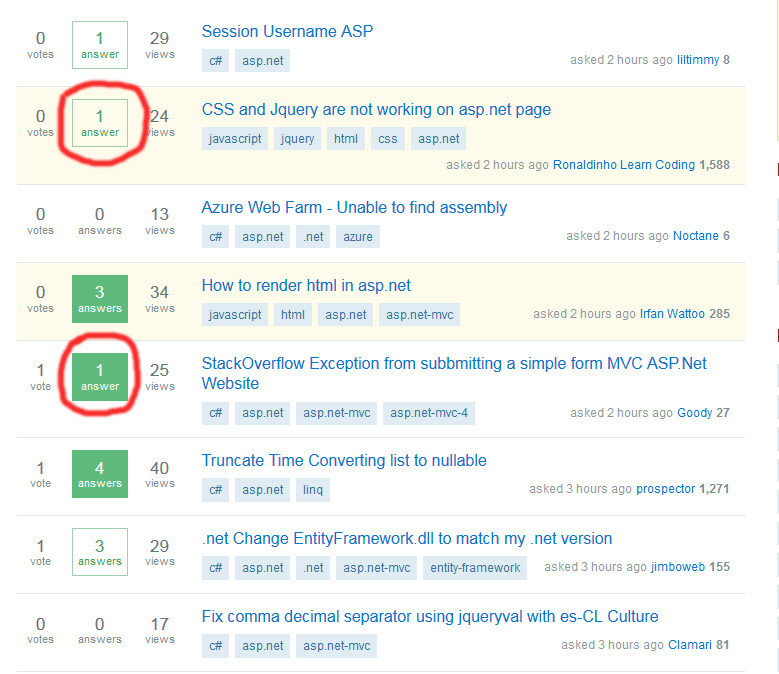 Over the last few months we've started extending the Stack Overflow UI in new (and exciting!) ways with Documentation, Jobs, Developer Story, and Teams. These extensions nudged a consolidated UI library to the forefront. Yet what really pushed this was growth of our CSS to over 600 kB. So a few weeks ago we began to consolidate and reduce repetition. This update completes the last of the "low-hanging" fruits. So far we've reduced the raw CSS by almost 150 kB. In particular it has minimized variation among main colors by almost 50 colors each. We're still planning to reduce further, because performance is so important to us. In addition to performance gains, consolidating the CSS was an opportunity to finally make a few updates to Stack Overflow that match the new branding that we rolled out last summer. I was puzzled why the white on green text boxes were very distracting, drawing my focus from other text elements on the page, while the other (white on blue or orange) text boxes weren't contributing to any such distraction. green light contributes the most to the intensity perceived by humans, and blue light the least. I have no familiarity with this color spectrum sensitivity math. Perhaps one of the many talented designers at Stack Overflow who understands this could find a more optimum shade of green which would be less disruptive while trying to read the question titles! According to the range of comments, perhaps it would help to shift the new color consensus from the Vibrant; Vivid; Distracting; Aggressive; Weird; Clashes end of the spectrum, moving it closer to the Great; Right; Nice side. Not the answer you're looking for? Browse other questions tagged discussion feature-request status-completed design accessibility . Forgotten element at new color theme?